By chance it just so happened that they were running a ‘free 1 week trial’ down at Hermosa Beach. So it was a bit of a ‘no brainer’ when it came to making a decision on where to train! You don’t get much for free these days so I decided to take full advantage of this amazing offer and see for myself what all the hype was about… I wasn’t disappointed. Each session is broken down into a 45 minute intensive work out, made up of a number of individual exercises designed to work your core and strengthen your body. Each days session varies and focuses on different areas of the body, some days a session may be more cardio based, other days it may be more focused on strength exercises. Either way its all nicely packaged up and clear to follow, with plenty of variety between circuits. You don’t have to be a fitness junkie to get involved. Everyone is welcome. Like with anything fitness based the more you push yourself and the more you put into each session the more you’re going get out of it. Be warned you get minimal rest between stations/reps and you will be challenged… but its only 45 minutes of hard hard work. No pain, no gain!! 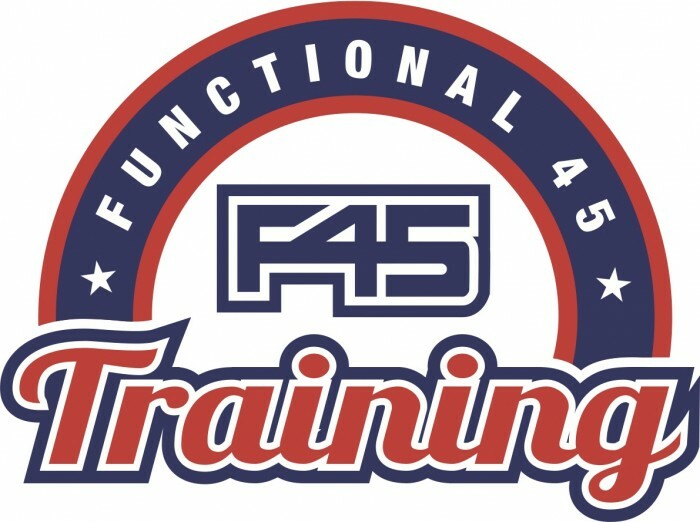 The F45 staff are constantly in your ear offering words of encouragement all the way and tweaking your technique where necessary. The music is “super high energy” too and certainly helps to blow away the cobwebs, with motivational tracks that will push you hard through out the session. I loved the environment at F45 because everyone is there to work hard. 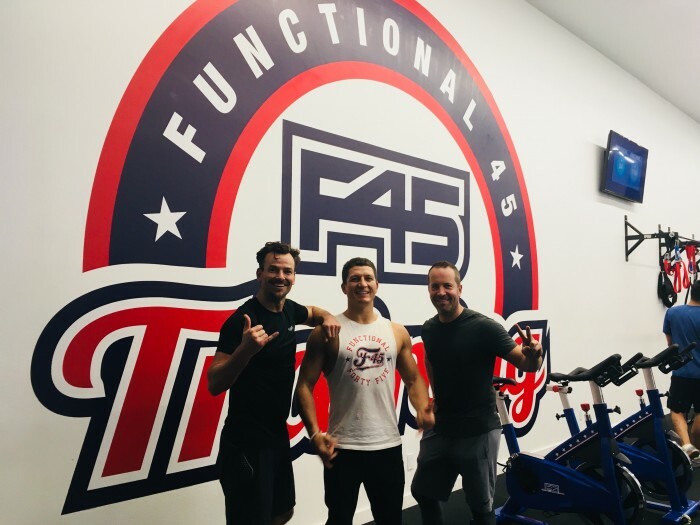 Whether its to get in shape for a wedding or get beach ready for the summer or just to stay fit and feel good about themselves, F45 really is an awesome place to train. If I lived in LA I would 100% be hitting this place up twice a day. Morning sessions at 9am and late afternoon sessions at 5pm, but you can of course tailor your session around your own working day. If your feeling brave and you’re an ‘early riser’ they even do a 5am class just for you!!! One thing’s for sure, you will definitely leave feeling energised and your body will 100% feel like its had a solid work out. Top Tip: When you’ve smashed out your session be sure to get in on a round of ‘high 5’s’ with all those in your class that encouraged you throughout the session. Great for topping up your “ego pint”! There is a really positive vibe down at F45 Hermosa Beach and a real sense of community. Enjoy the positive vibes and work towards a healthier lifestyle. 10/10 – Great set up, and well worth all the hype! Check it out for yourself and enjoy getting your sweat on! F45 has a daily Instagram story (@F45_training_hermosabeach) so you can see what your letting yourself in for. Huge thanks to all the team from F45 for having me. Big shout out to Evan, Mandy, Taylor, Brock. Keep up the good work! 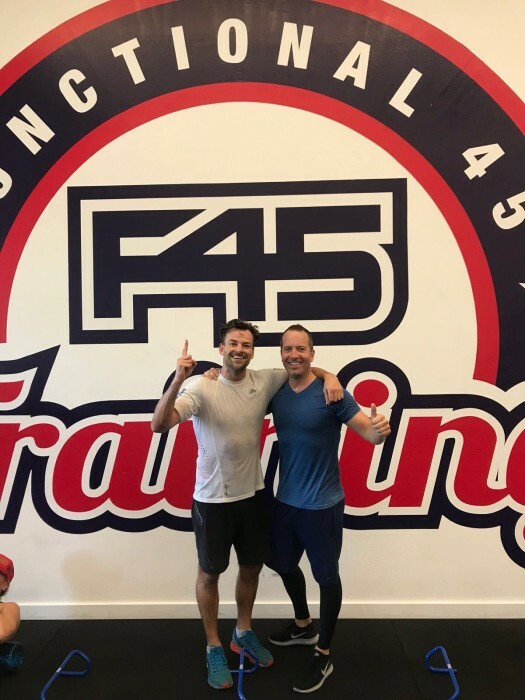 F45 Origins: Australia 2012 – The F45 Training Co-CEOs struck out to do the impossible: create a Group-Training facility that featured the most dynamic and effective training styles to date. Not only did they seek to find the best types of workouts, but they wanted to find a way to vary those workouts every day and make them accessible to the masses. They envisioned highly-capable, charismatic instructors to lead the workouts to motivate people to reach their potential. They wanted to create a structured, systemized and powerful Training System that could be implemented around the world.